Today, please welcome Hallie Klecker from Daily Bites! My friend Hallie is truly what I’d call a “powerhouse” blogger–and person. She is incredibly accomplished, both as a Certified Holistic Nutrition Educator and cookbook author; she teaches cooking classes to lucky participants in Madison, Wisconsin; she’s editorial manager at Simply Gluten-Free magazine; and, most relevant to today’s post, she creates fabulous recipes that are whole-foods based and use only natural sweeteners. Lucky for all of us, she’s also sharing one of her creations here today on the blog! Even though Hallie and I follow different diets (hers is omnivore and paleo-leaning, while mine is vegan), I think our styles are perfectly compatible, and I always find myself drooling over her recipes. Some of my favorites include Grain-Free Cranberry Walnut Granola; Super Healthy Veggie Burgers; Coconut Hemp Earth Balls; Pizza Crackers; Green Goddess Kale Slaw; and the recent Hit the Slopes Snowballs. Hallie is also the author of The Pure Kitchen, Super Healthy Cookies (which I mention here), and Crazy for Kale. In addition, she co-authored Dairy-Free and Gluten-Free: A Whole Food Starter Guide and Cookbook with Alisa Fleming (see an interview with them here). Aside from our love of healthy, whole foods, we also share a common aversion. . . but I’ll let Hallie tell you about it herself! As Ricki and I have grown in our friendship over the past few years, I’ve learned that we share so many common interests. We both appreciate delicious and nutritious food, feel our best following low-sugar diets, can’t get enough chia seeds and kale, and love our dogs like they’re our family. And you know what else? We both are absolute curmudgeons when it comes to winter and cold weather. Icy sidewalks, polar vortexes, heavily clouded skies, dark evenings? I’ll pass. Fly me to the nearest beach, please! If I was Ricki’s neighbor, I’m sure we would get together on a weekly basis during the winter months to share a pot of tea and chat about tropical vacations. But since that’s not an option, I suppose we’ll just have to meet up in Maui in our dreams for now! To pass the long winter days, nothing is more soul-satisfying than baking. But with spring just on the horizon (as difficult as that is to believe here in frozen Wisconsin) and with tank top season close on its heels, I’ve been shying away from the sweets lately and focusing more on dishes rich in veggies and healthy fats. These Sweet Potato & Kale Balls are one of my favorite fun side dishes to prepare in the winter months. High in nutrients and easy to make, I even enjoy the leftovers cold from the fridge for a fast snack. Cold weather or not, sweet potatoes and kale are two super foods that are always in season in my book! This is one of those super flexible recipes that can be eaten warm, room temperature, or cold. I prefer to use flat lacinato kale leaves in this recipe, although any variety will work. Feel free to add additional finely chopped vegetables if you like, such as broccoli, cauliflower, or bell peppers. Preheat the oven to 400ºF/200C. Line a baking sheet with parchment paper. Place an inch (2.5 cm) or so of water in the bottom of a medium pot fitted with a steamer basket. Add the sweet potatoes and steam until tender, about 10-15 minutes over medium heat. Transfer to a large bowl. Add the coconut milk and mash until smooth. Stir in the kale, shallot, cumin, granulated garlic, and salt. Using slightly wet hands, form the sweet potato mixture into 1½ – 2 inch (7.5-10 cm) balls. Place the balls on the lined baking sheet. Sprinkle lightly with ground flaxseed. Bake for 20-25 minutes until just firm to the touch but still slightly soft. Cool for at least 5 minutes before serving. Makes 10-12 balls. Suitable for: ACD All Stages, sugar-free, gluten-free, dairy-free, egg-free, soy-free, nut free, yeast-free, vegan, low glycemic. Hallie Klecker is a cookbook author and holistic nutrition educator. She shares gluten- and dairy-free recipes on her blog, Daily Bites, where she shares her passion for cooking with whole and natural foods. In her two cookbooks, Super Healthy Cookies and The Pure Kitchen, she transforms clean and unprocessed ingredients into delicious meals and treats. Her newest e-book, Crazy for Kale, features 40 recipes all using kale. Connect with Hallie on Facebook, Twitter, Pinterest and Instagram. I totally agree there is so much overlap between vegan and paleo… i’m vegan yet I work very closely developing recipes for a more paleo focussed whole food company. Oh… and this recipe looks awesome! Those look wonderful and I know my wee Cooper will love them. Thanks for the recipe and for the introduction to someone I didn’t know. these look delicious – I could just reach out and pop one in my mouth – I can’t say I share the hatred of the cold – it is so lovely today being only 27 C because I can get out on my bike without sunburn and dehydration and I don’t have to think of a meal that avoids turning on the oven – however I think I would struggle with some of the icy weather you get in the north. They do look easy to pop, don’t they? 😉 And I agree, you WOULD struggle with the ice weather here–we all do, even those of us who’ve lived here our whole lives!! Hate it. I could relish some of that heat right now!! How perfect are thee bite-size balls! I’ve just added Hallie’s “pizza crackers” to my must-make list too. Wow, I love this recipe! I am totally going to give it a try. Another great Hallie recipe! Love Hallie and love this recipe – it looks fab!!! These look AMAZING. My partner is allergic to coconuts and I’m allergic to cumin. Any suggestions on what I could substitute? Hi Joanna! Yes, any milk will work. Hemp would be great since it’s a little thicker than almond. You can omit the cumin or try 1/2 teaspoon coriander. Enjoy! I’d be joining you two too to whine about the snow and eat some kale and sweet potatoes too! Rosie as well, girlfriend loves her sweet taters. I bet she would love this recipe too! I am trying these THIS WEEK! My parents are coming into town, and I can’t wait to make these for them! I have sweet potatoes on my counter and kale growing in the garden. Perfect! Mmmm these are like falafels but BETTER. This recipe looks delicious! I will definitely try it out. I’ve been a veggie lover all of my life, but am now crossing over into Vegan territory. This recipe is a wonderful start! Thanks, Ricki. I’m transitioning for health reasons, but am greatly encouraged by the article and recipe. This is making the change easier! All the best to you! I feel like these would be a huge hit for a party with my fairly health-conscious group of friends. The hostess in me wants to serve them with a dip (dairy-free) of some kind. Any suggestions? Could I use onion instead of shallot?? Or another sub?? Thanks!! 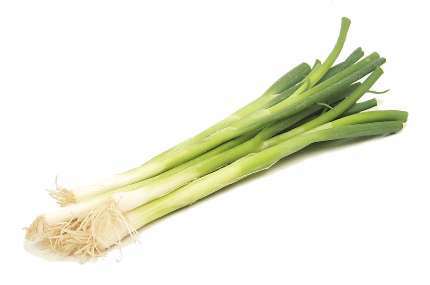 Logan, I’d use green onions rather than regular onions (this kind)–light green and white parts only. They are milder than regular onions, so more like shallots. Let me know how it turns out! These were quite easy and fun to make, thank you! Now I have an almost full open can of coconut milk, any ideas on what I could make with it? Can the flaxseed be eliminated from this recipe? I should think so, Megan, as it serves just as a coating after the balls are already mixed up and formed. I’ll double check with Hallie, but I imagine that would be fine! Hi Megan: Yes, the flaxseed can be eliminated.